Transponder City Locksmith & Alarm is a licensed Bridgeview Locksmith. With years of experience and trained technicians, we are the areas go-to source for car key programming, key duplication, lock rekeying, and lock installation. If you’re inBridgeview IL and need keys cut, locks repaired, car remotes programmed or other locksmith services call Transponder City Locksmith & Alarm at 708-233-0202. Transponder City Locksmiths is For Fair Trade Locksmiths verified and we are always available to help you. Our team of dedicated, experienced professionals is just a phone call away. If you are struggling with repairs, need to get into a locked car, or are unable to secure your property, call us for reliable, affordable locksmith service. You can depend on us for exceptional workmanship. When you need a Transponder City locksmith you can depend on, make us your first call. Our team handles many of the services you need – much more than just lock services. We’re happy to answer any of your questions and provide you with outstanding one-on-one support. Here are some of the services we offer. If you are unsure we offer what you need, just give us a call. Duplicate car keys, we can even help you with that BMW key fob replacement if you need it. Car key programming if you need a new key made or programmed to match your vehicle. Car key cutting, especially helpful for those who have older vehicles requiring more of a service. Help getting into a locked car, including if you locked the keys in your car. Broken keys in the lock or the ignition of your vehicle removed, repaired, and replaced as needed. Car ignition repair needs in most vehicles. 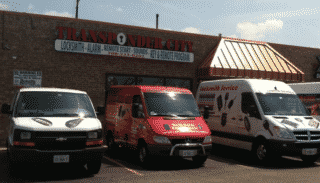 If you need any type of lock, key, or ignition help with your vehicle, call Transponder City first. We can offer a basic estimate for our services over the phone. We are your trusted auto locksmith serving the community. We encourage our clients to let our team give you a few ideas of how we can help make your system better. You’ll love the results you get as a result. For those who want to add a bit of mystique to their vehicle, car window tinting is a fantastic way to do just that. You will find that our team offers the latest solutions that fit just about any desired outcome. If you are thinking about window tinting, call us. We’ll offer a few solutions, talk about your needs, and discuss the process. You can expect competitive prices on all of the car window tinting you need from us. And, we do an exceptional job. You’ll appreciate that we offer comprehensive service with regards to adding and removing tinting, making repairs, and offering estimates on services. If you have not done so yet, let our team help you learn what all of your options are for installing a new alarm system for your vehicle. If you have an existing alarm that is not working, we would be happy to troubleshoot it for you, make repairs, reprogram it, or replace it. Car alarm system installation can be easier to achieve than you realize when you allow our trusted professionals to help you. Car key cutting services which are designed to produce new metal keys, much like older keys. When you need immediate “key replacement near me” call us first. 24 hour car locksmith service available – if you are locked out and need a new key made, we can help you. Call us for any type of key services you need. As noted, we provide comprehensive key duplication services. We can duplicate existing keys that you have using our in-house solutions. This process involves taking an existing key or a template for it and then creating a new key from it. We can do this with older style keys. As a vehicle locksmith, we specialize in those hard to replace vehicle keys. We also can help you with any other lock service you need regarding your vehicle. Car light installation – if you need to add a new light to the vehicle, we can handle the wiring and installation for you. Replace car lights that are no longer working and functional. Car light replacement services on the go are available – if your light goes out while you are on the road, we can help you. We can replace car lights for most makes and models. We encourage you to give us a call ahead of time to find out. LED light bulbs are available as well as the installation services for them. Headlight replacement and installation services are available as well. Do not drive without the proper lights on. We’re happy to help you to get your lights back up and working properly again. Call us first. Where Can I Find a Locksmith Near Me? When it comes down to it, you need fast, reliable service. For Fair Trade Locksmiths offers that service to you. If you are located in Cook County, IL, give us a call for a fast, affordable appointment.